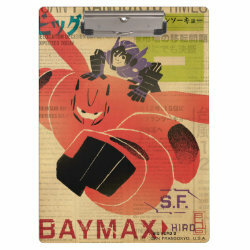 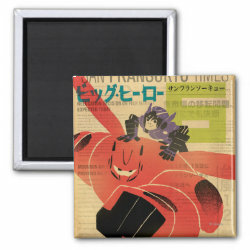 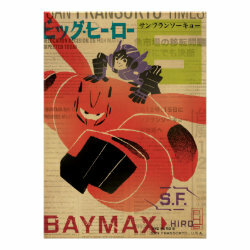 Baymax is full mech in this propaganda-style poster design featuring his human sidekick, Hiro Hamada. 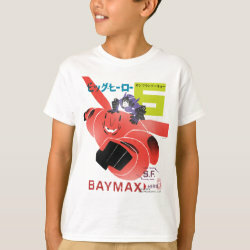 Baymax flies towards the viewer with Hiro in command on Baymax's back. 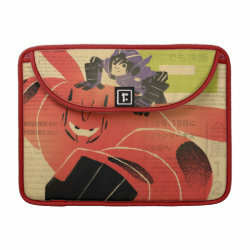 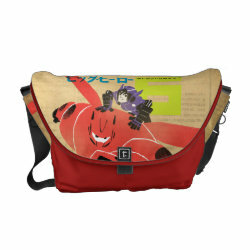 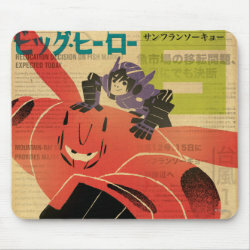 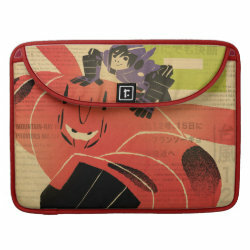 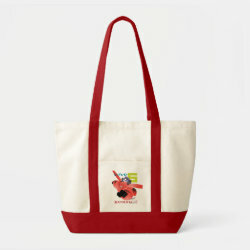 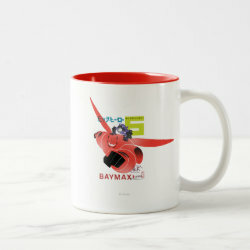 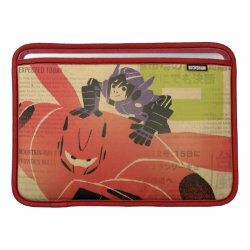 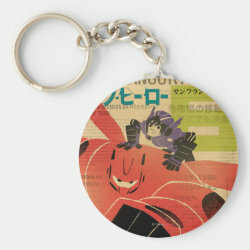 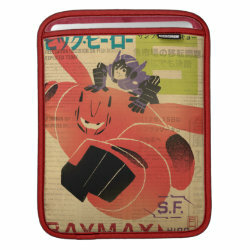 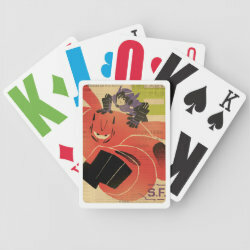 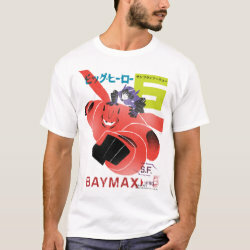 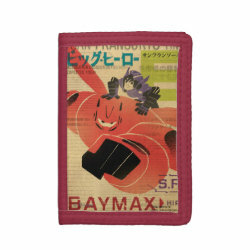 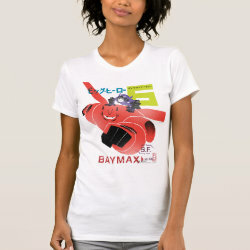 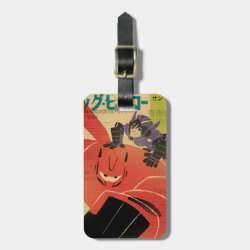 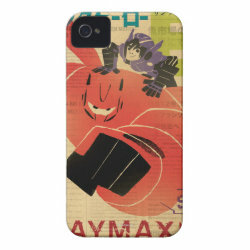 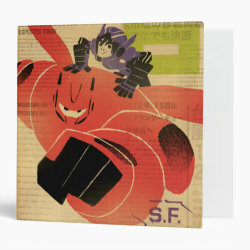 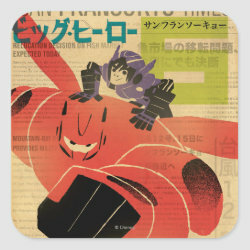 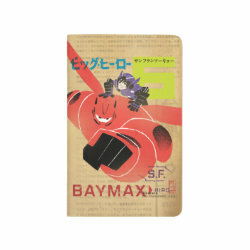 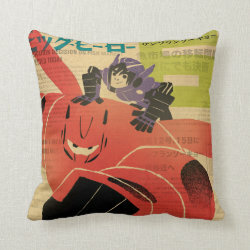 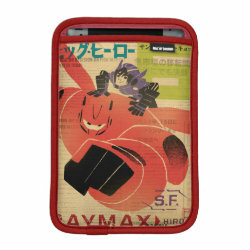 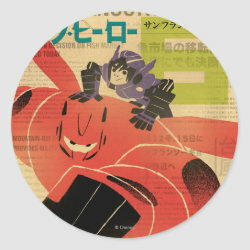 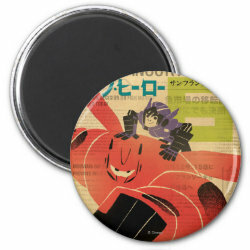 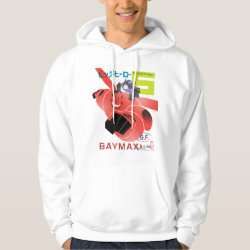 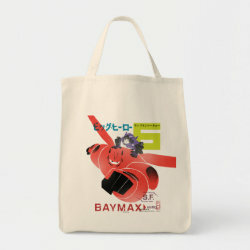 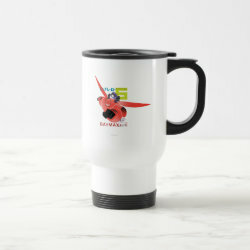 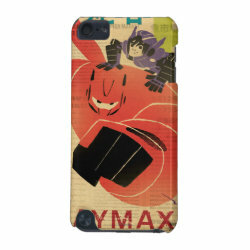 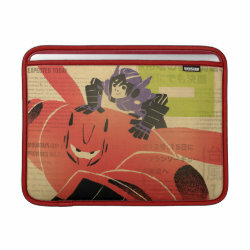 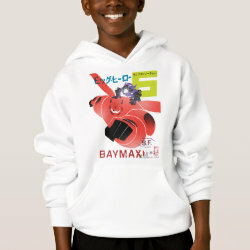 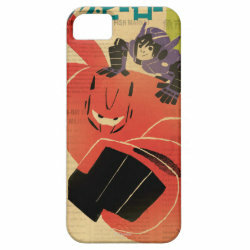 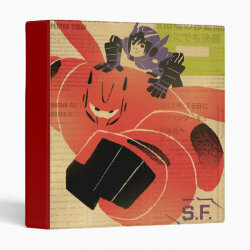 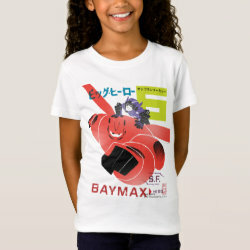 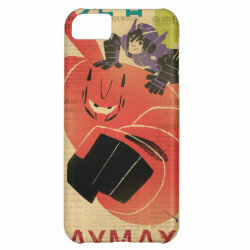 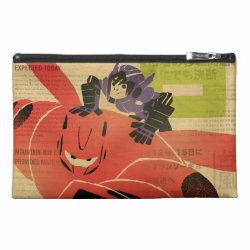 This is a great stylish design for fans of Big Hero Six!